Most people will put their personal improvement efforts into directed conscious effort and action when in fact, research shows that 95% to 99% of everything that happens in our lives is really the result of our subconscious minds. Dr. Marcus Raichle from Harvard University, refers to this as the “default network”. According to Dr. Raichle, our default network is most active when we take a first-person perspective centered upon our own body as opposed to a third-person perspective. For example, when you are thinking and talking in your own head, you are more in the third person perspective but when you are in the moment you are accessing your default network. This interaction with the default network of your own subconscious mind is why creative visualization is such a successful and widely used technique among top leaders, performers and athletes. Also known in the field of psychology as “mental rehearsal”, creative visualization is used to enhance relationships, performance, sales, body transformation, creativity, and more. Any type of pursuit that you might choose to enhance in life is immensely benefited by the use of creative visualization. Why is creative visualization so effective in rapidly closing the gap between you and your goals? The brain does not differentiate between real and imagined. When we visualize, the same regions of the brain are stimulated as when we actually experience the event and the same neural networks are created. This enables us to enhance confidence, develop skills and abilities and enjoy all of the same benefits that the actual practice in the area would have afforded us. When we visualize more neural networks are formed that lead toward our goals. When your default network kicks in (95% to 99% of the time), you have stacked the deck in your favor: “all neural paths point to… “(fill in the blank with your goal). The Reticular Activating System (RAS) is the data filter for your subconscious mind. Of the 2 million bits of data your mind process per second, only that which aligns with the programming of your subconscious mind is allowed to reach your conscious awareness. Creative visualization primes your RAS to align with your desired goals. When you practice creative visualization in the Alpha and Theta brainwave states, your mind is very suggestible. Creative visualization in these states actually enables you to overcome limiting beliefs and re-program your subconscious mind for success. 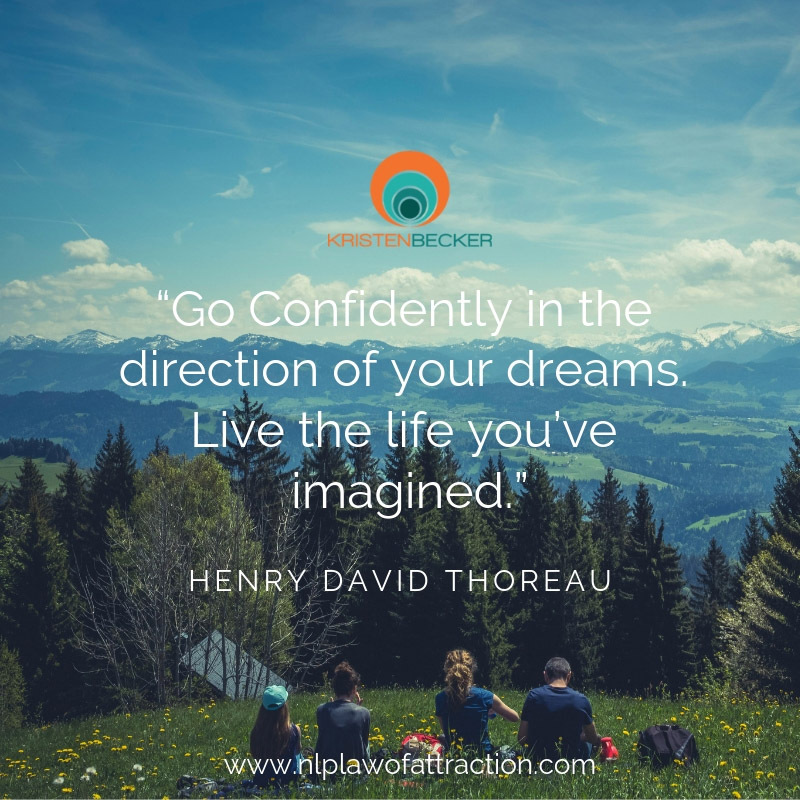 During the relaxed creative visualization process, the great ideas and inspirations about inspired action that you can take toward your goal come in rapid succession. This brainstorming process allows you to think of ways to move toward your goal that might not have otherwise crossed your mind. Inspired action for the win! Once you have primed the power of your subconscious mind for success, you are ready to take inspired action. Unlike the trial and error, brute force approach that most people take toward their goals, your inspired action is aligned with your vision for yourself and your subconscious programming and jam packed with inspired action, creating an unstoppable force within you. Reinvent Yourself is a highly actionable & focused, step by step program which walks you through the entire process. First you will learn how to clarify your priorities and goals. You will learn the science behind visualization and the manifesting process so you are aware of all of the points of entry at which you can step in and become a co-creator. Your fully guided creative visualization audio will relax you down to the alpha state and walk you through your own creative visualization process. You will learn how to identify and take the inspired action through small, easy to manage weekly steps that build exponential momentum. As a bonus, you will also learn about “peak experiences” how they benefit you and how to create more of them in your life. January 2019: Use introductory launch coupon code Reinvent to save 50% off during the launch. Click here to register for your creative visualization course today.